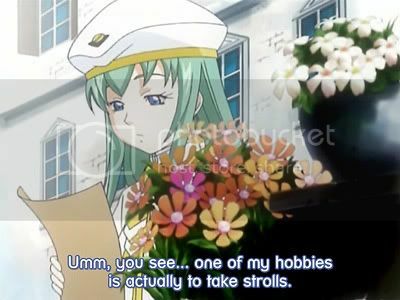 Venice The Origination: Gondolas & Co.
Alice has very good taste - I like strolling around as well and that's what I did for 4 days in Venice, and had numerous random encounters, Akari style! One of my totally random encounters was the Gondola shipyard, known as the Squeri. ARIA says Gondolas take 3 months to build and last approx 20 years. My Lonely Planet guide puts it at 1 month build time and 20-30 years service life, longer for the ones which are really well built. Other mind-boggling info is as follows. Making a good gondola is no easy task - seven types of wood are employed to make 280 pieces for the hull alone. Also, it has to be assymetrical. The left side has a greater curve to make up for the lateral action of the oar, and the cross section is skewed to the right to counterbalance the weight of the gondolier. Your standard model costs from €20,000, while a really 'pretty' gondola can cost more than €50,000 (Simonis, p33). Good post is good, as always. The gondola has its flat bottom rot away in 10 years or a little less (because shipworms eat it). This can be replaced two or three times and then the gondola is written off. Yet, there are 1959 vintage Venice-import gondolas still running in the USA, they are probably not used as intensively as the italian ones. You definitely cannot build a gondola in one month's time. Shaping wood is a slow process, steam, bend, dry, realign, surface, paint, surface, whatnot. Three months should be borderline realistic. 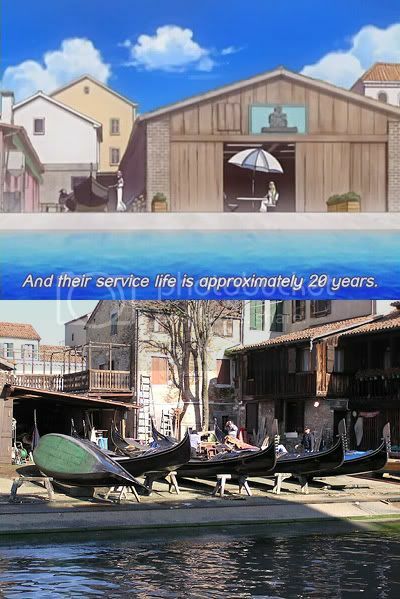 I heard there are only two active boatshops (squero) left in Venice, one in Cannareggio and the other is in Dorsudoro. Is that true? BTW, a squero pupil needs at lest 15 years, often 20-25 before he is allowed to build a gondola, rather than just help the master build one. Many things remained feudal and medieval in Venice. That's some very interesting facts there! Venetians sure are a strange bunch. I have no clue as to how many Squero there are left. The one pictured here is in Dorsuduro.